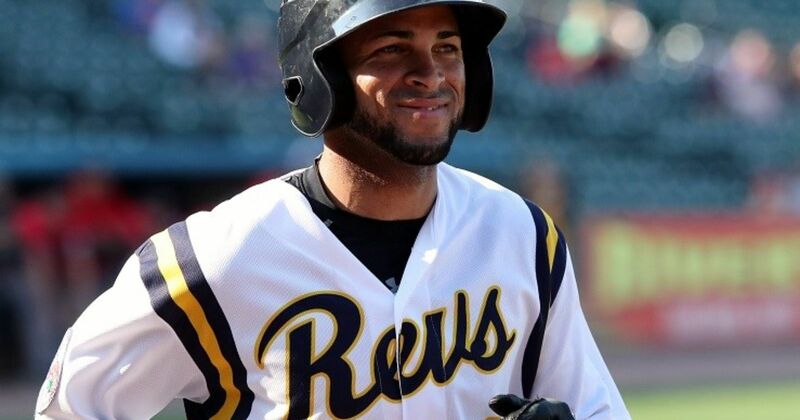 The York Revolution continue to add to their 2018 roster with the signings of returning infielder/outfielder Rubi Silva and right-handed pitchers Nick Baker and Jeremy Holcombe. The signings were unveiled by manager Mark Mason live on Tuesday night’s episode of “Revs Hot Stove Weekly presented by Shipley Energy” on SportsRadio 1350 WOYK. “He’s an outfielder by trade and played a fantastic second base for us last season. He made some unbelievable plays going to his left, in the hole, up the middle, laying out for balls, and offensively he was like a magician sometimes. Those kind of players are really fun to have on your team because they bring a lot to the table. He’s a guy that can put it in play, get on base and do some damage, and defensively he’s going to help you no matter where you put him, and that just makes life easier when you’re working with your roster,” Mason said. The Revs now have 24 players under contract for the 2018 season and will unveil additional signings on the next episode of “Revs Hot Stove Weekly presented by Shipley Energy” on Tuesday, April 3, at 6 p.m. on SportsRadio 1350 WOYK and http://www.woyk1350.com. This entry was posted on March 29, 2018 by blogtoblogchamps. It was filed under Player News, Team News .